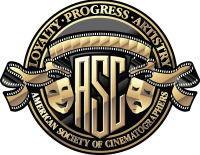 For the past several months, the central project for our ASC Technology Committee has been the Camera Assessment Series (CAS) conducted jointly by the American Society of Cinematographers, the Producers Guild of America and Revelations Entertainment. The group selected seven digital motion picture cameras and compared each of them to a film reference—the benchmark standard for theatrical motion picture quality. CAS was designed to explore performance characteristics of the seven cameras within a commonly used hybrid film/digital 2K post workflow designed for theatrical motion picture releasing on print film and digital cinema (DCP) to determine how compatibly these digital motion picture cameras would fit in that workflow without having to go through proprietary post facility image transform machinations. For the better part of this year, the enormous scope of this ambitious all-volunteer project has demanded continuous attention, starting with initial planning and preproduction through shooting and then through Digital Intermediate (DI) post finishing for seven digital motion picture cameras and one film camera. While there are many ways that these cameras can be used and integrated into productions, the Camera Assessment Series was designed to test the cameras within a commonly used hybrid film/digital post workflow finish designed for theatrical motion picture release on print film and digital cinema (DCP). Needless to say, many people were eager to suggest alternate approaches based on their varied experiences with custom workflow post finishing procedures. Filmmakers develop highly personal and frequently conflicting perspectives on digital camera image quality that correspond with their varied results. To get a manageable handle on the digital cameras’ image performance we realized it was necessary to eliminate the “wild card” variability of multiple workflows by selecting a commonly deployed “neutral” DI workflow finish for all the cameras. A primary discovery made at the start of the DI post process was that all the log-encoded digital camera images required an Input Device Transform (IDT) to adjust the gamma slopes of their respective log curves to be more compatible with Cineon print density, thereby enabling the non-destructive use of a film print emulation LUT for color grading intended for film out. The ASC Color Decision List (CDL) Power function proved to be an effective IDT. As a result of this experience, some digital camera manufactures have started to create IDT LUTs to provide this essential function for their respective cameras. Having gained invaluable knowledge and experience via CAS about the performance of the current crop of “mainstream” digital motion picture cameras, we now have a better understanding of the challenges that filmmakers face in maximizing the imaging potential of these cameras within various post workflow options. In addition to the ASC Technology Committee Subcommittee reports included in this SMPTE progress report, our ASC Technology Steering Committee has recently reviewed and agreed on our agenda for the coming year. The pressing issues concerning workflow color management and the need for unambiguous transforms between log, video “linear”(gamma), and scene referenced linear encoded images have been intensified by the rapid adoption rate of digital motion picture cameras for both feature and TV production. As a consequence, the ASC Technology Committee will be focusing attention on the Academy of Motion Picture Arts and Sciences (AMPAS) Science and Technology Council’s Academy Color Encoding Specification (ACES) within its Image Interchange Framework (IIF) as defined by their proposal.